Got an update for you guys on Just Burgers. I received an anonymous comment from someone saying that David is not the owner. I guess I just assumed all along that David was the owner because of his obvious passion for putting out a heck of a burger. We have no idea whether or not the source of this cowardly comment is reliable or not. Then I saw some interesting things happening with their Facebook page. I guess their page was taken down, because I can't find it. Seems that things have changed over there in Just Burger land with the management of this joint. Michelle and I have been there 6 or 7 times since we discovered it in January. Just speculating, but it sounded as though changes were driven by financial concerns. Its certainly not unusual for these things to happen in the food service business. It's tough racket man. Since we heard the news Mom, Michelle and I decided to have lunch there today after church. I'm sad to report that Just Burgers has lost its touch. Burgers and service that used to get attention from someone who cared has been replaced with a great lack of care. It's a shame really. We have to take Just Burgers off our recommended stop in list. All of our burgers today were horribly over cooked. Michelle, as usual, asked for sauteed mushrooms. What used to be a heaping pile of perfectly cooked mushrooms has been replaced with a smattering of under cooked mushrooms. Mom and I both opted for avocado on ours and found a slice and a half. That was pretty pitiful. I also asked for green chilies and they were completely left off. We had to ask for lemon for our tea because the lemons were nowhere to be found. They were also out of forks. Forks? We were at a restaurant or at least I thought? My favorite however, or actually saddest was they were out of pickles. Really? A burger joint out of pickles? That's kind of like a bar out of ice isn't it? How does that happen? So what is missing? It was obvious too us. Subtract a passionate manager/owner or what ever David was and replace him with the absolute opposite. The result is a sad sad commentary. Might as well hit the drive through at McDonalds and save a few bucks. You'd get about the same quality of food but better service. Wonder if McDonalds (and I never ever eat there nor will I - well maybe for some fries on a rare occasion) ever ran out of pickles. I'm not one to criticize, but I feel obligated to offer up our experience. I was hoping that the change in management was designed to bring something new, but that isn't the case on this day anyway. Sorry to see Just Burgers implode and leave our lovely village once again void of a great local hand crafted burger. They have all the tools and all the flavors, but lack the most important ingredient of all...passion. So sad. Looks like its back to driving into downtown again to find a genuine burger joint. 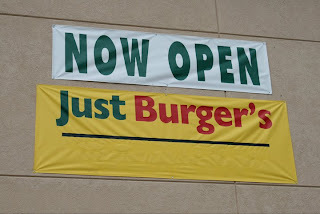 Open for almost a month now is Just Burgers in Spring, TX. They are located at 16724 Stuebner Airline RD across the street from Klein High School. 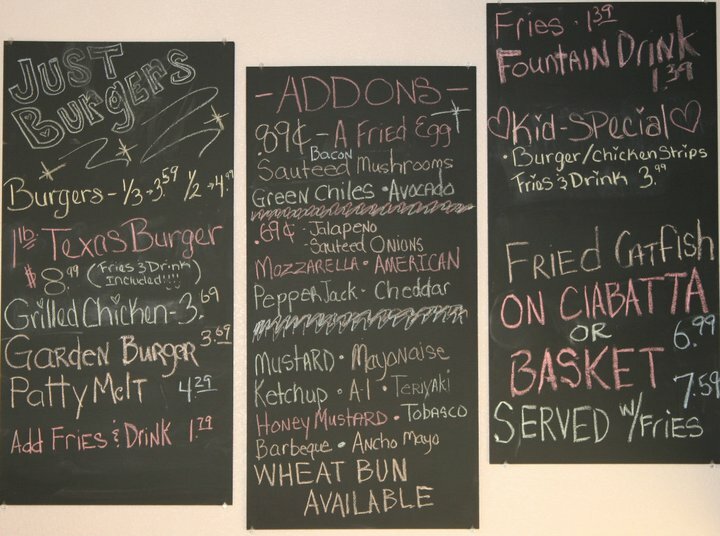 Owner David is putting out some awesome hand crafted burgers, sandwiches, salads, and fries. Everything is done in house from their ground chuck to their hand cut fries. They have a tasty burger sauce that's looking for a name. It's got a creole mustard kind of feel and it just shows there is some thought going into what they are putting out. Just Burgers is making the standards and many specialties. Fries are super crispy and beautifully seasoned. Lots of options from their menu. I picked up some yesterday and they've got it going on. Great ingredients. Lots of love. Awesome result. David is a super nice guy and he's working the grill and shooting the breeze with the counter where you can see it all happen. He starts the patties on a charcoal flame and finishes them on the flat top. The burger is juicy and laced with that great charcoal grilled flavor. Very glad to see a local guy cranking out hand made burgers near by. 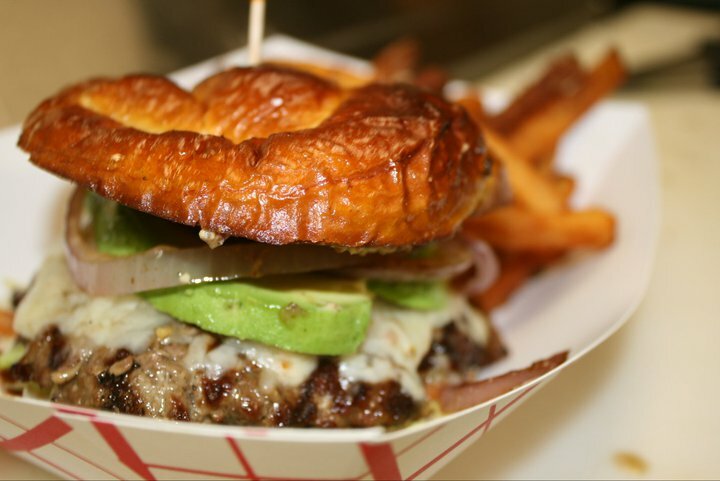 Just Burgers will be a regular stop for The Foodie Spot. The Owner isn't David. Nasir Malik owns Just Burgers. David used to be the manager there. Number 1, great to have you back. Number two, you report on the sad state of much of the restaurant business these days. Too many just looking to make a fast buck and too few serving up fresh food with love and passion. 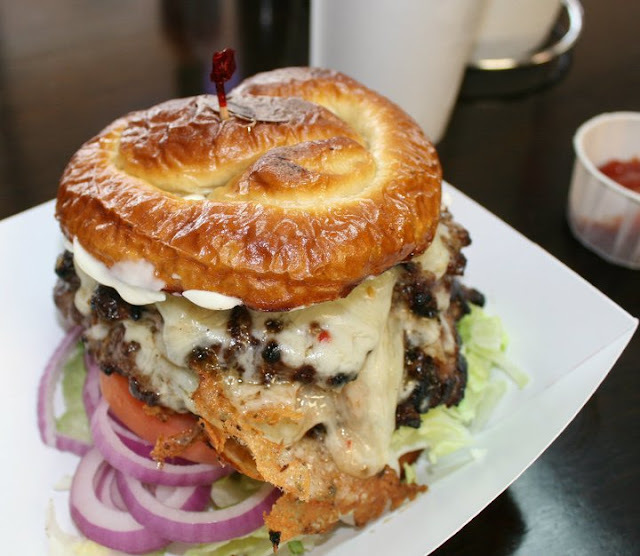 Miss all my great connoisseurs of a great burger! I will create an ID here too... Thanks again for your review! I was reading here and a wonderful note to share and then I clicked on the Google thingy below... and I lost it all instead of posting it here. Hope You all are doing well ! Im Good! Hey All!!! I have great news! 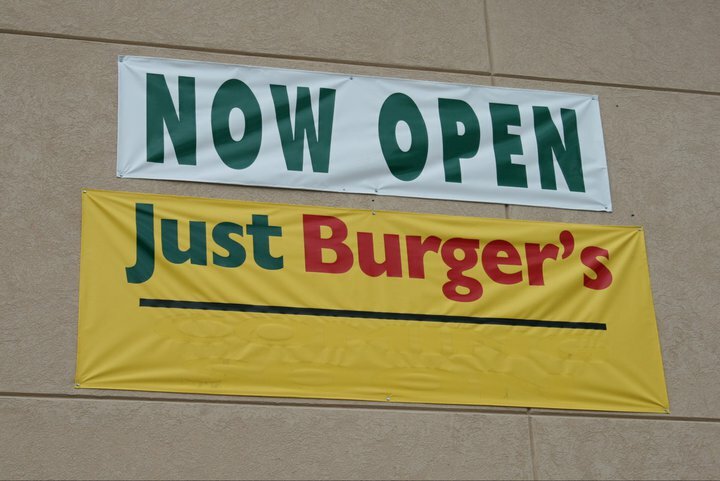 Just Burgers is back on the map! It was bought by a REAL CHEF and his WIFE and he has a ton of passion. His wife is super nice and the burgers are amazing all over again! It's still here. Here's the Facebook.